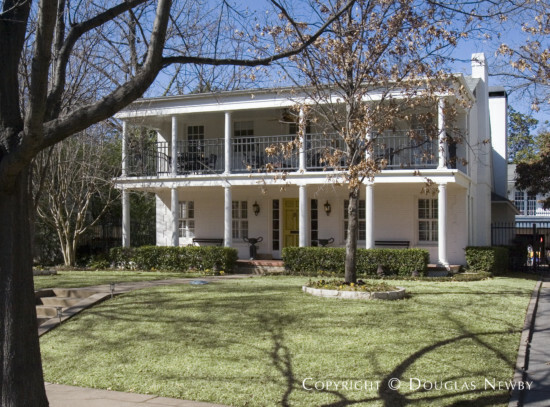 This Highland Park home was built in 1935 and was a project of architect John D. Carsey. It's in the sixth section of the Highland Park neighborhood west of Preston. It has columns and a large second floor balcony.